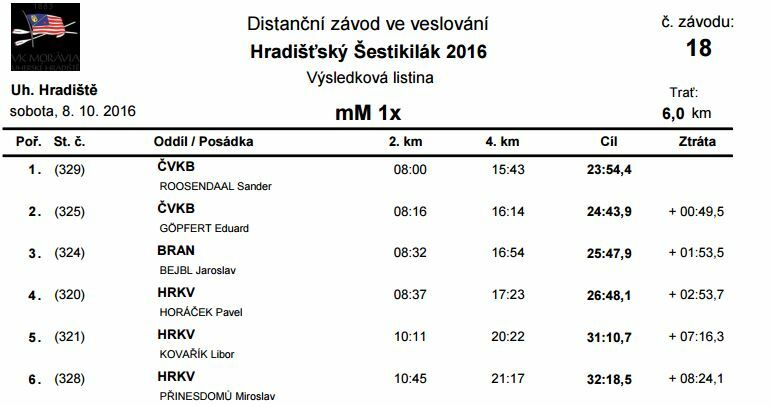 Here’s a (shortened) video of my head race in Hradiste. 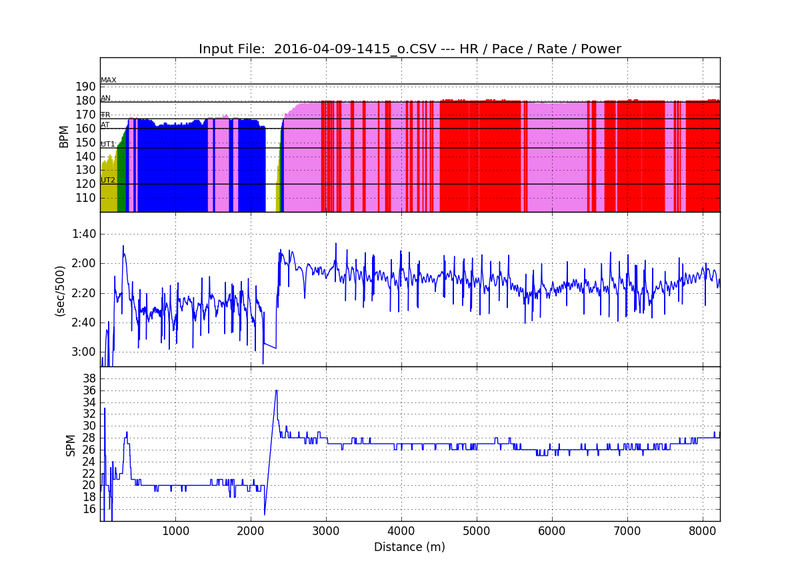 It’s cool to have the Empower oarlock data integrated in the video. A dense fog helped to cloud the advance of St. Hilaire’s French division, but as they went up the slope the legendary ‘Sun of Austerlitz’ ripped the mist apart and encouraged them forward. Russian soldiers and commanders on top of the heights were stunned to see so many French troops coming towards them. Allied commanders moved some of the delayed detachments of the fourth column into this bitter struggle. Over an hour of fighting destroyed much of this unit. The other men from the second column, mostly inexperienced Austrians, also participated in the struggle and swung the numbers against one of the best fighting forces in the French army, eventually forcing them to withdraw down the slopes. However, gripped by desperation, St. Hilaire’s men struck hard once more and bayoneted the Allies out of the heights. To the north, General Vandamme’s division attacked an area called Staré Vinohrady (“Old Vineyards”) and, through talented skirmishing and deadly volleys, broke several Allied battalions. 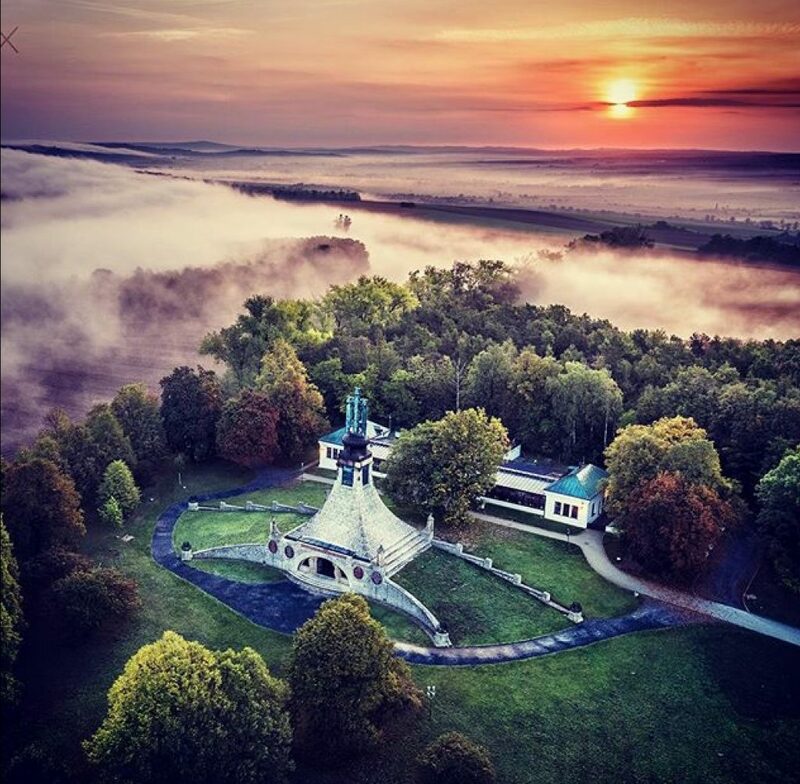 In fact, I discovered on my Instagram feed that a drone user discovered the same magic moment. Here is a picture he took of the Prace hill. 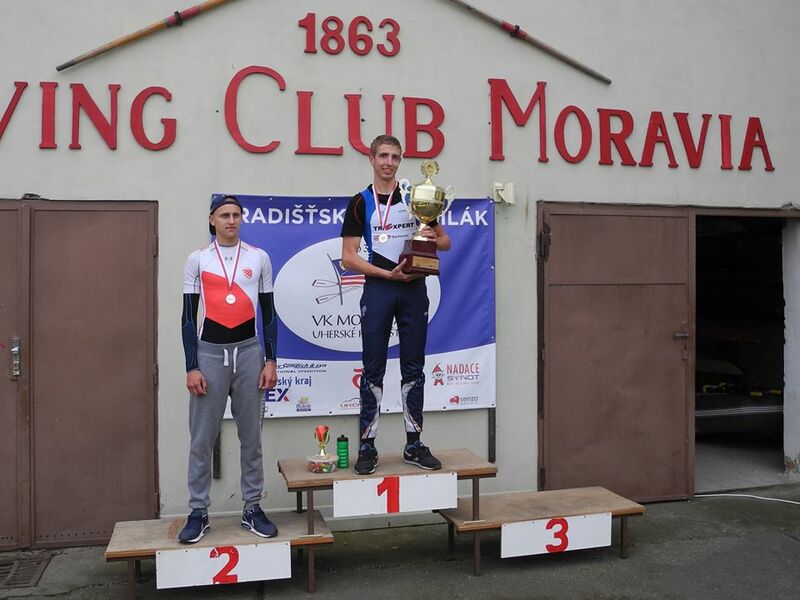 An hour later I arrived at rowing club Moravia Uherske Hradiste. I would spend the morning there, waiting for the early races to finish, load singles on my trailer and shuttle them back to the start for the afternoon races. 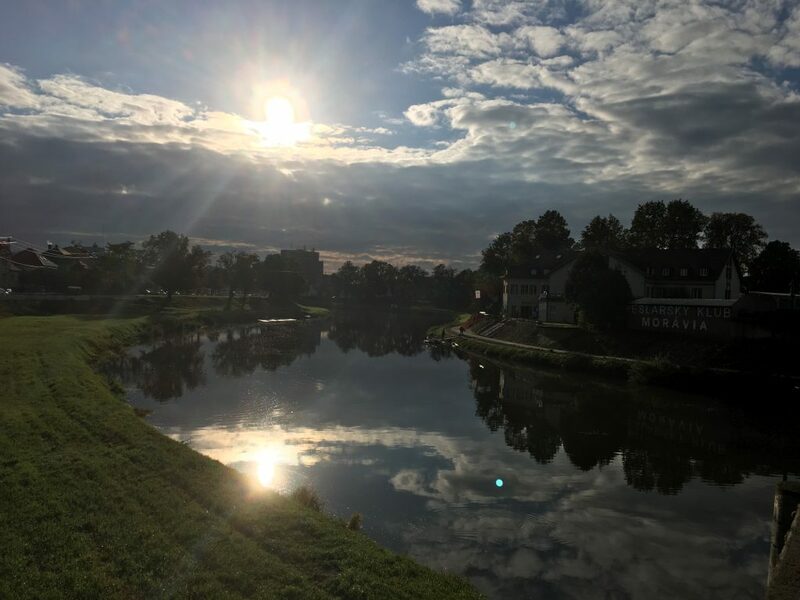 The weather was gorgeous when I arrived and I took a few pictures of the mirror flat river Morava. Sitting on the bank, watching the races, noting down times about 200m before the finish line. In this head race, the start time is exactly on the clock, in one minute intervals. So by starting the stopwatch as the first boat of a field passed, then noting the differences, I could see the results as they happened. 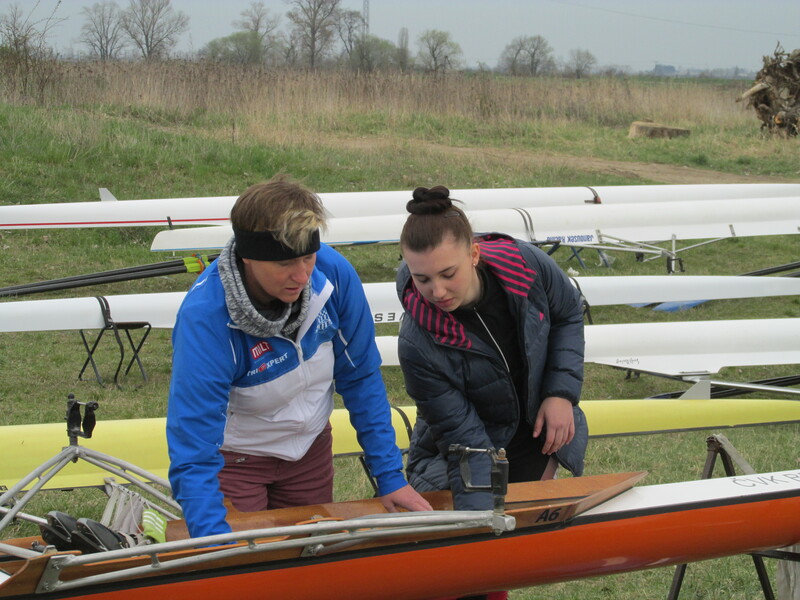 It was quite interesting, especially in the Juniors 1x and the Girls Juniors 1x, where there were s few unexpected fast boats in the back of the field and a few favorites performed badly. 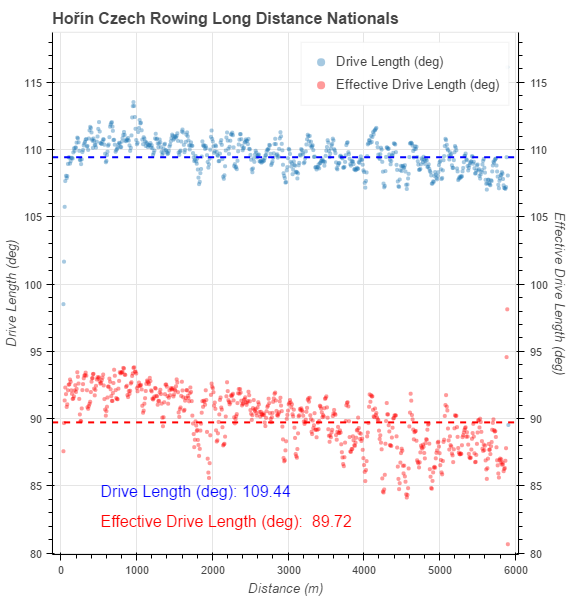 This is going to lead to discussions, because funds for youth are distributed to the best twelve rowers, using the outcome of this race and a 6k erg test in November. The sun disappeared and the weather got humid. Then it started to rain. 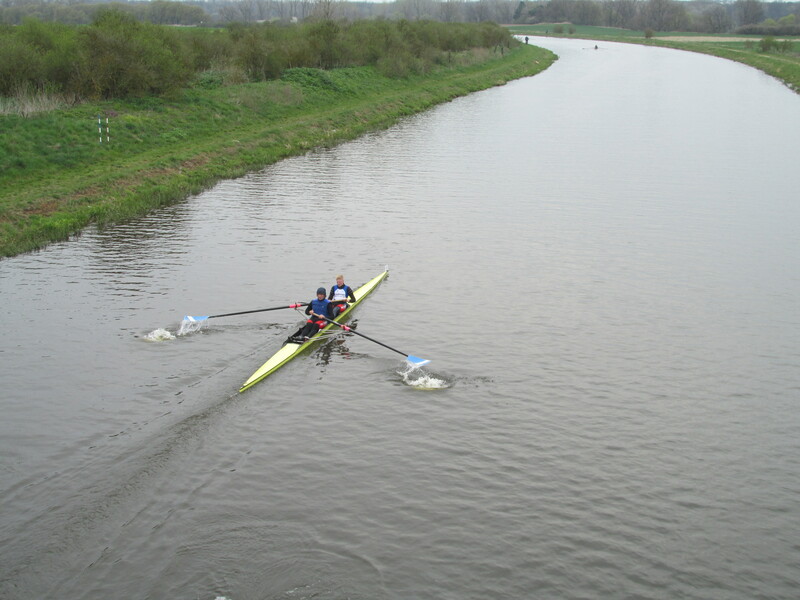 The mirror flat water got ripples and the final stretch had a nasty headwind – good Werthera for powerful rowers. By noon I saw the last boat of my batch finish, loaded it and drove to the start. I arrived there at 1pm, with my race start time being 1:50pm sharp. That is when they start the stopwatch to measure my 6k. Arrive late and you will find your clock already running. I grabbed my start number 225, rigged my boat in heavy rain, then changed to racing gear in the club minivan, and carried the boat to the dock to launch 20 minutes before my race time. No time for a warming up run. I warmed up with a few speed burst while the sun came out again. 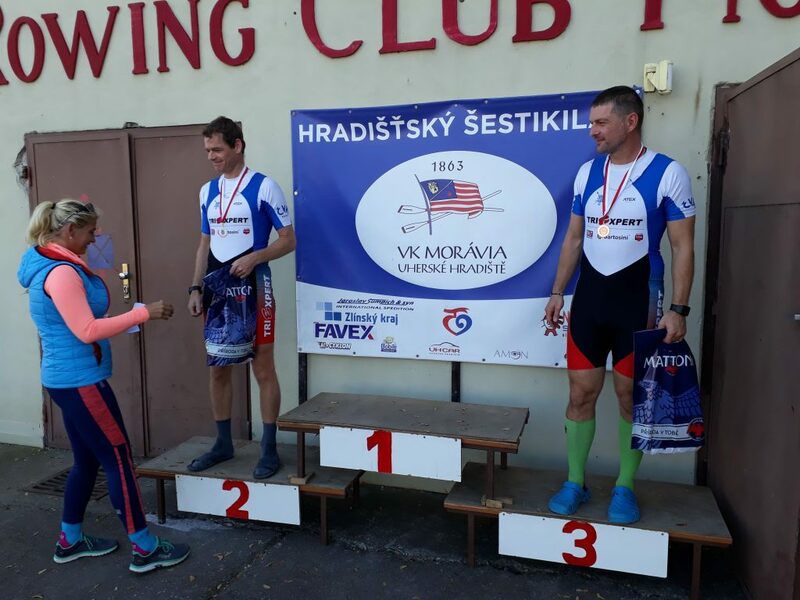 My main opponents were Mr Machacek, the president of the Czech Rowing Federation, fresh back from Sarasota, with start number 227 (starting two minutes after me) and Mr Cernak with 228, who regularly beats me on the 1k distance. But Cernak is a sprinter pur sang. 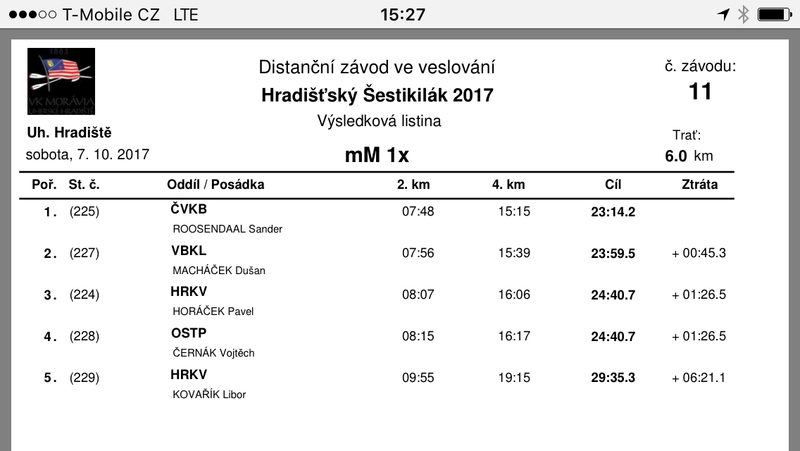 Mr Skodik with nr 226 had scratched, unfortunately, so there would be a gap of two minutes between me and Mr Machacek. 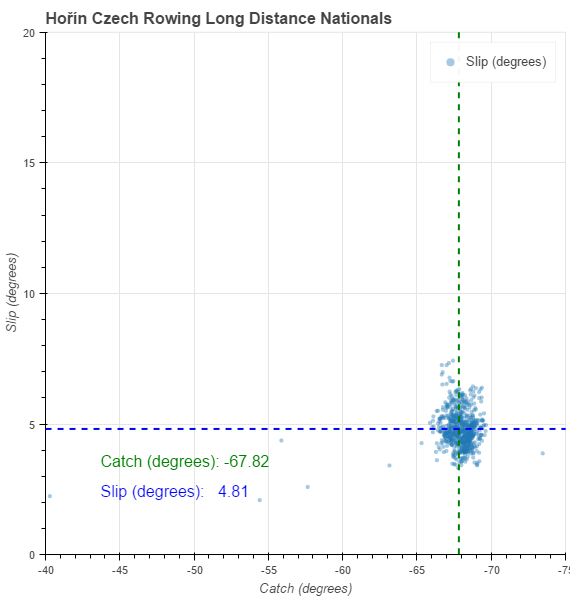 I started as the second boat in the Masters 1x field and had good hopes of passing number 224 fast. 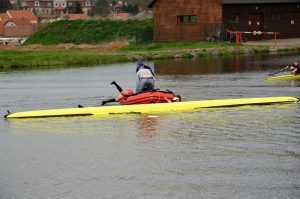 The river was flowing and the referees ordered me to counter Row constantly so I would not drift past the starting line. Mr Machacek shouted: “Give him a warning! He is so fast he doesn’t need a shorter course.” I didn’t get a warning. The start was good and I rowed a few hard strokes, then tried to settle for 250-260W on the SpeedCoach, as well as making the first turn. Turns were slightly harder than in other years, because I didn’t wear my rear view mirror. I had decided to not wear it because of the rain. 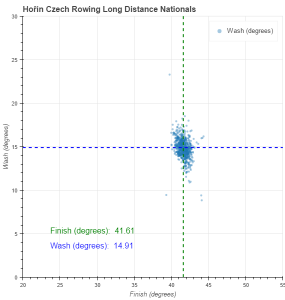 I tried to estimate the difference between Mr Machacek and myself when he rounded that first turn. It looked like about 500 meters. So, now I was doing business. Focus on form. Don’t go crazy in the first three kilometers. 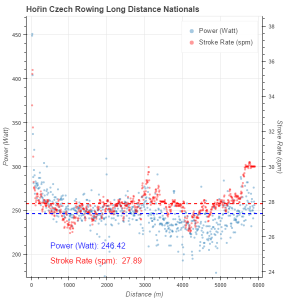 In terms of Watts, I was pulling a bit harder than my target of 255W. But I was also closing in on the guy ahead of me. Perhaps I could pass him before half way? Well, that didn’t happen. It took the entire 1000m between 3km and 2km to go to close in and pass him. I rounded the big turn at the beer brewery, using the power lines to time the moment to start the turn. I remembered this from last year. Turn when you are under the second power lines. After the turn I took the ideal line to the next turn, pushing the other guy into the bank, which he obviously didn’t like. Too close to the bank and the flow of the river is reduced and you slow down markedly. So now I was rowing in his puddles and there was a risk of blade collision. However, gripped by desperation, St. Hilaire’s men struck hard once more and bayoneted the Allies out of the heights. I turned my head and shouted “Damnit, move over”, pushed the power up a bit and rowed through him. Head racing is fun. You get to talk with your opponents. He didn’t talk back, though. In hindsight, this was all very good. I kept the pressure high in that difficult middle part. Now it was only 2k to the finish line. Would I dare to keep the power above 270W? I guess not. I had passed the guy and it also seemed that the gap with Mr Machacek was widening. 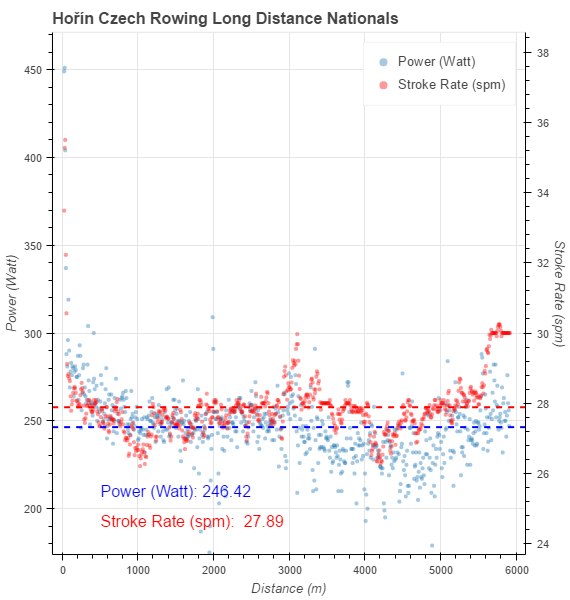 At that point in the race, I thought it highly likely that I would win, and I focused on being above 245W and rowing with good form. 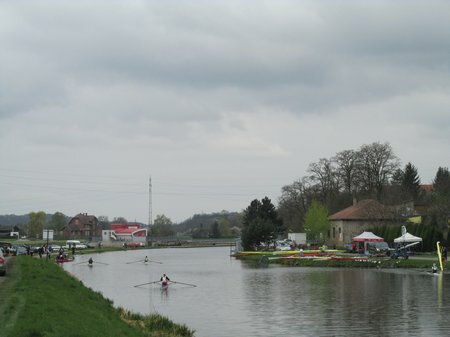 In the last kilometer I started counting strokes, and I also passed a boat from the tail of the Open Women 1x field. The lady thanked me afterward for chasing her. It had helped her struggle through the final 2km. With 20 strokes to go I emptied the tank, and then I collapsed behind the finish line. I noticed that it was 14 past the hour on the SpeedCoach and waited for Mr Machacek to finish. Seemed to take ages, but it was worth it. There were definitely more than 2 minutes between us, and more than three minutes between me and Mr Cernak. Details. 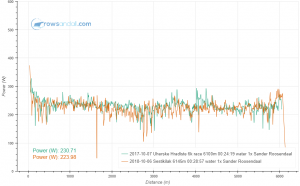 I think the pace fluctuations are mainly due to differences in the river flow and the wind, which was a headwind in the initial km and the final 3km. This map nicely shows the power lines which I used to time the turn. I did a 2k cooling down, during which it started to rain again. In my wet racing gear I prepared the boat for transport, then I changed to dry clothes, headed to the club house, got my medal, had a bowl of soup and a hot tea, and that was the end of a great race. No training. In the evening, Romana and I made the program for Hradiště, i.e. the instructions where everybody would be at any given point in time. It’s not easy. There’s a small bus with all the rowers at the start. One by one they do their warming up, get ready to race, and row the 6km race. Somebody needs to bring their shoes and some clothes to the finish, especially when it’s 9 degrees and chilly. Then there’s three singles that are used in the morning and in the afternoon. So at some point in time we have to drive my small trailer from the finish back to the start for those three singles. Then Romana wants to be at the start to help her girls with warming up and race prep. And I will spend the morning on the bike cheering various athletes. One thing is easy. Head coach will be in the big turn half way with his stopwatch, a pen and a note book. He will record all times and give key info to the guys racing, how they stand respective to their competitors. So our day was planned from 7am to 5pm with 15 minute precision. Well, it’s an important race for the youth. 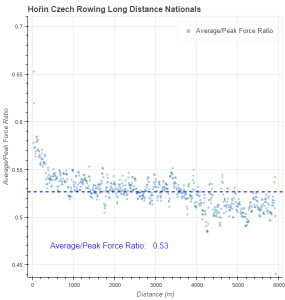 Their 6km OTW time is measured against a standard, and each participant who scores more than 100% will be invited for a 6k erg race and some further testing. 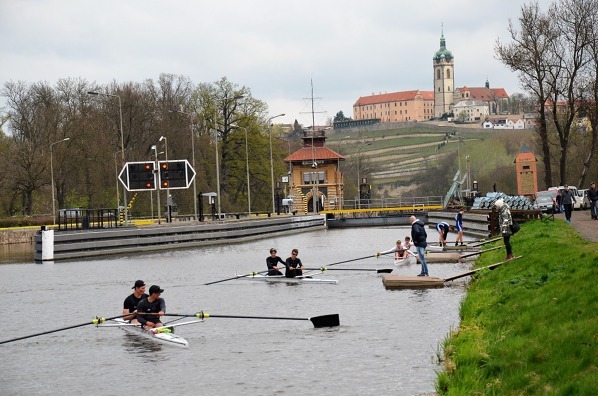 If successful, the youth will be part of the “Youth Sports Center” for rowing, and the club will receive state funding for covering training costs. So alarm clock at 6, leave house at 7, drive to rowing club to get small trailer, drive the 70km to Hradiště, park trailer. Then Romana takes the car to the start and I hop on the bike. 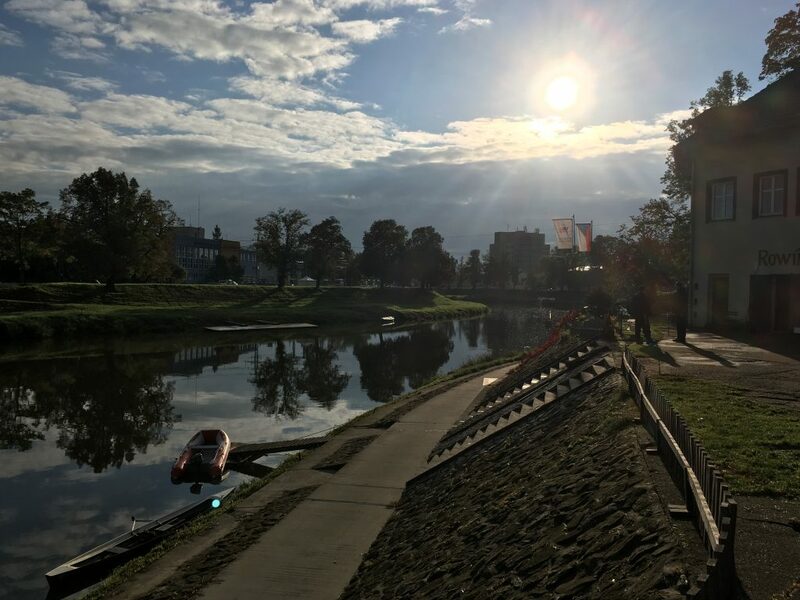 On the right bank you can cycle the entire 6km. On the left bank you can only do the final 3km. 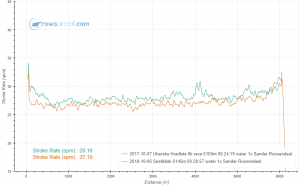 I chose to cycle on the left bank with a better bike path, because I didn’t want to spend my race energy cycling through a stubble-field on the right bank. Picked up Mr Kuncak with 3km to go and started cheering and steering. 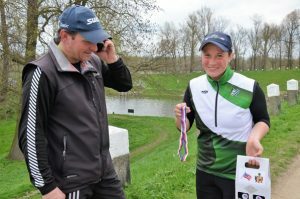 When I passed head coach we got the information that he was rowing in 2nd place with 2 seconds loss to the fastest guy. So I cheered and cheered. Shouted at him to just keep rowing the same 30spm stroke and hoping it would help. When Mr Kuncak finished, I cycled back to wait for the race of my daughter Lenka. I saw Mr Cermak in passing, with his father cheering. Had to spend more than an hour on the 3km point. The autumn sun disappeared and I did a few kilometers of cycling around the local villages just to stay warm. 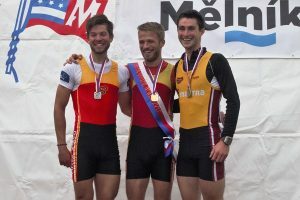 Mr Kuncak finished third in the Junior’s field, 5 seconds behind our club’s Mr Cermak, who surprised us all by coming second, just 0.5 seconds behind the winner. Lenka finished somewhere in the middle of her field, but her final time was good for a >100% score, which means she is still in the game! Our club also won the Men’s single, the Boys 15/16 pair, and got a third place in the men’s lightweight single. 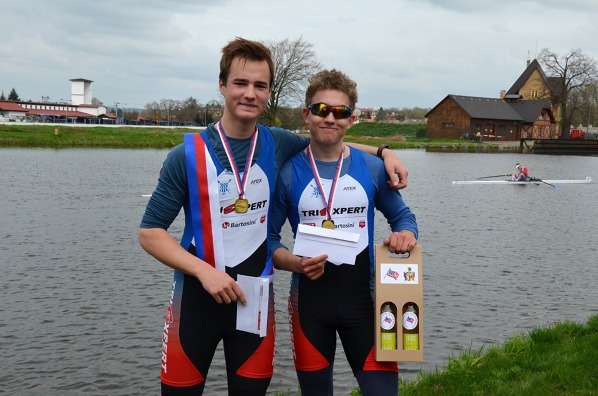 Because of the points earned for all youth categories and the U23 rowers, this was a huge success in a race with very strong competion. It was time to return to the small trailer. Three singles (including my single “Dolfijn” which was rowed by Lenka) were prepared. Romana arrived just in time with the car, and we drove to the start, where we unloaded the single, rigged them, and then drove back with the trailer (and some bags with shoes and dry clothes). Then we took the car back to the start, and it was time for me to get ready for my own race. 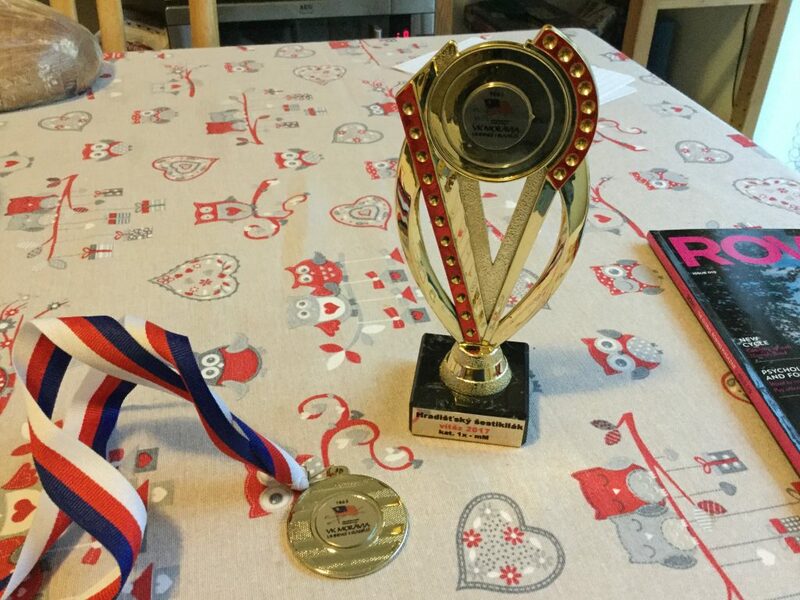 Two years ago, I won, with a few seconds lead. Last year, I lost. Mr Polasek gave me 5 seconds. Unfortunately, I had found out during the morning, that Mr Polasek had cancelled. He had a cold last week and didn’t feel like it. 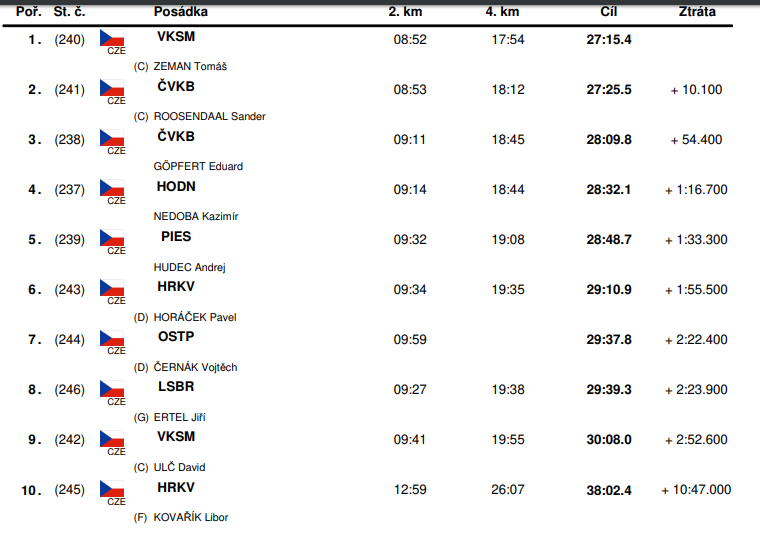 At the start, I also found out that the two guys from Ostrava had cancelled. This kind of reduced the tension of the race. My club mate Eduard was the next fastest guy on paper, with me being the fastest. The other participants were three guys from the rowing club in Hradec Kralove, who looked like newbies in the Masters Rowing field, and Mr Bejbl from Brandys, who I estimated to be slower than me. I found out it is good that I have pre-race routine with a lot of reserve time. Only when I put the single in the water, I found out that I had forgotten to move the footstretcher from Lenka’s position to mine. That is a problem, because one of the nuts is normal one, and you need a tool to unscrew it. Luckily, Romana was still on the bank collecting our slings, so I could get to the car and get the tool. I still had time enough to do a 2km warming up drill on the water. I made a terribly bad starting stroke, which made me smile and shake my head. Then I was off. After a few start strokes I dropped to my well-tested 27spm and didn’t dare to go higher. I think I made a wise decision. 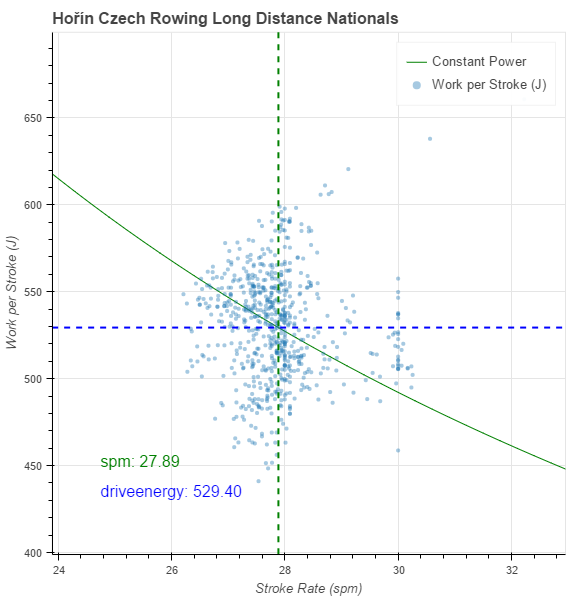 Looking at the power plot, corrected for the river’s current and the headwind, I more or less rowed a flat row in terms of power (Watt). 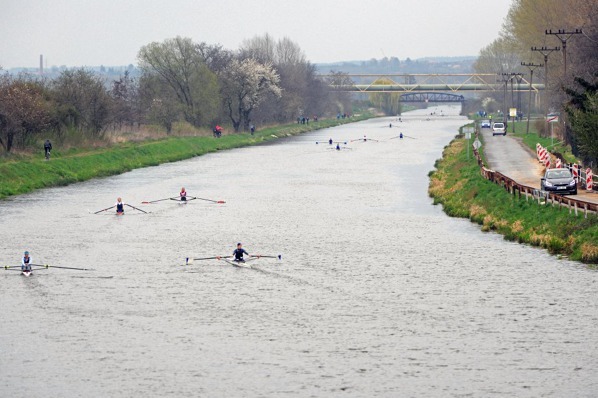 Pace helped by the river current, but in a slight headwind from 12 minutes onwards. The guy starting 60 seconds before me was a 68 year old Masters rower. Just a year younger than my father! 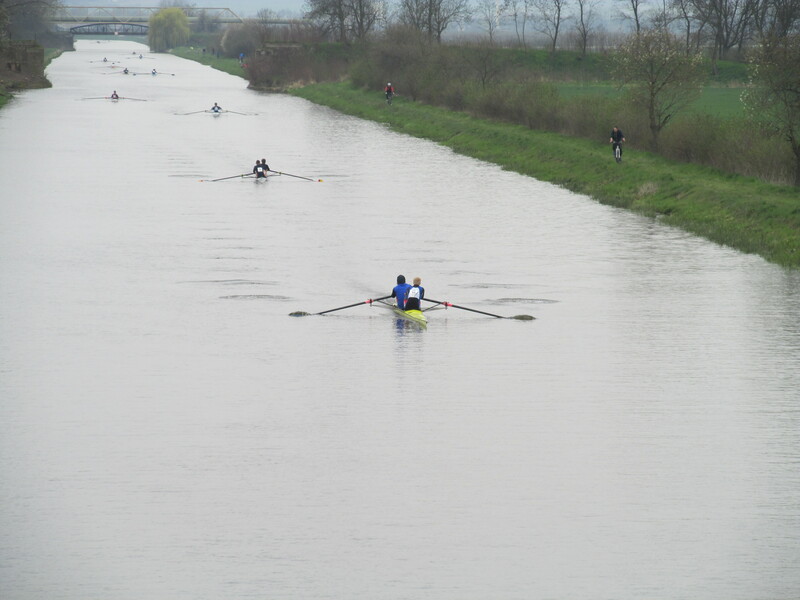 I passed him in the first kilometer, and then I had enough space to focus on my own rowing. I think I steered well. Perhaps the big turn at the beer brewery was a bit wider than could have been, but the river was really the fastest in the middle. Whenever I got closer to the banks, the pace numbers started to worsen. 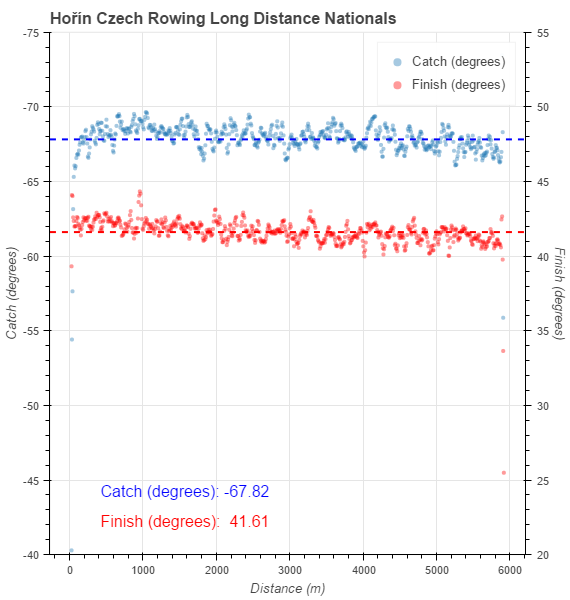 After the big turn I was rowing into a light headwind, and I had to tell myself that it was a headwind, and not worry too much about the pace creeping up above 2:00 minutes per 500m. 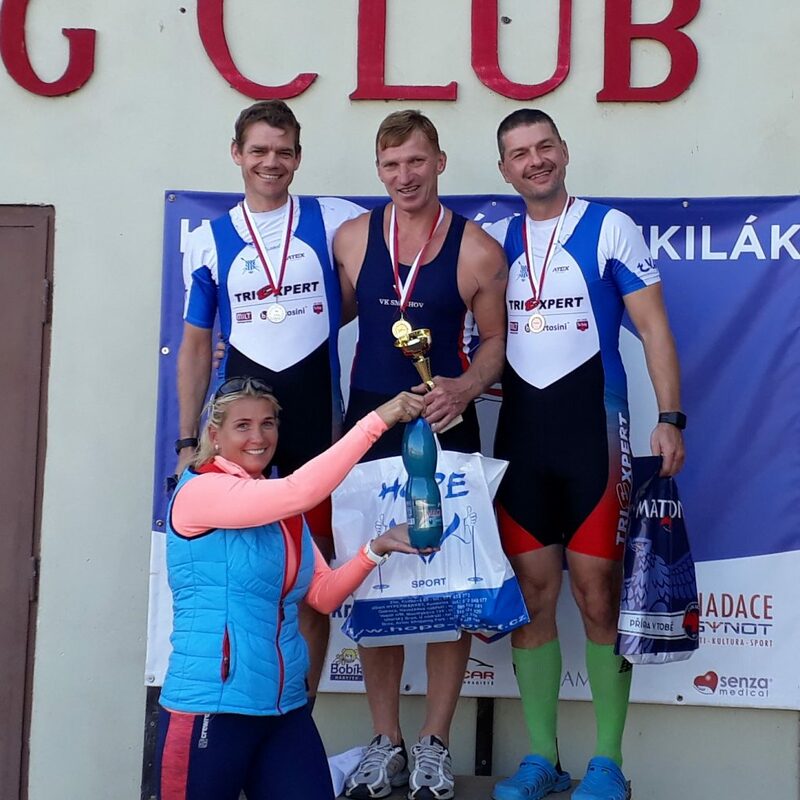 In the final 1000m I started counting strokes, and in the final 500m I had company of our friend Ludek on the bike, which was very good because it helped me rate up to 28, 29 and then 30spm. 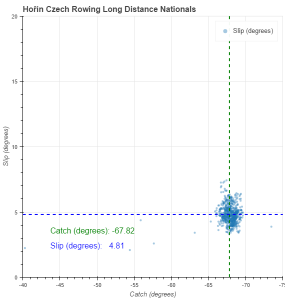 I did a 1km cooling down and when I was taking the single out of the water, I heard the speaker announce the results. I had won! 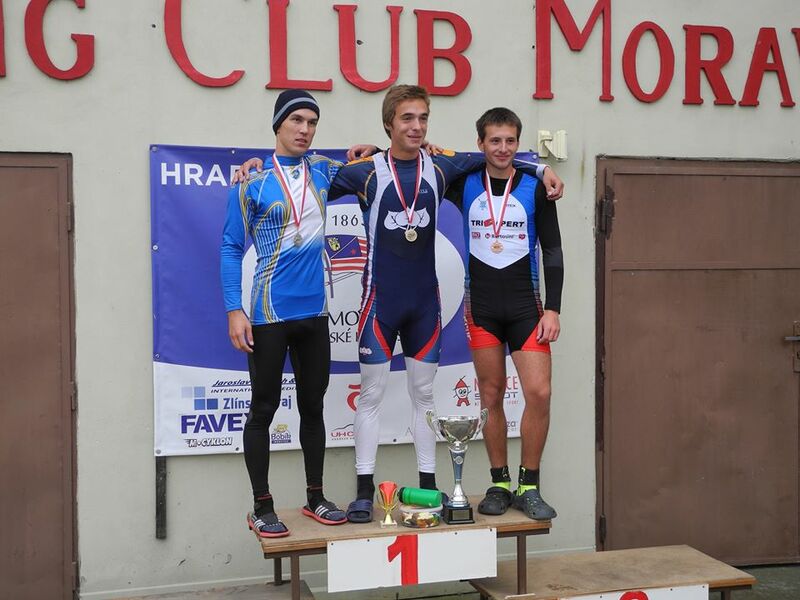 Second place was for my club mate Eduard. 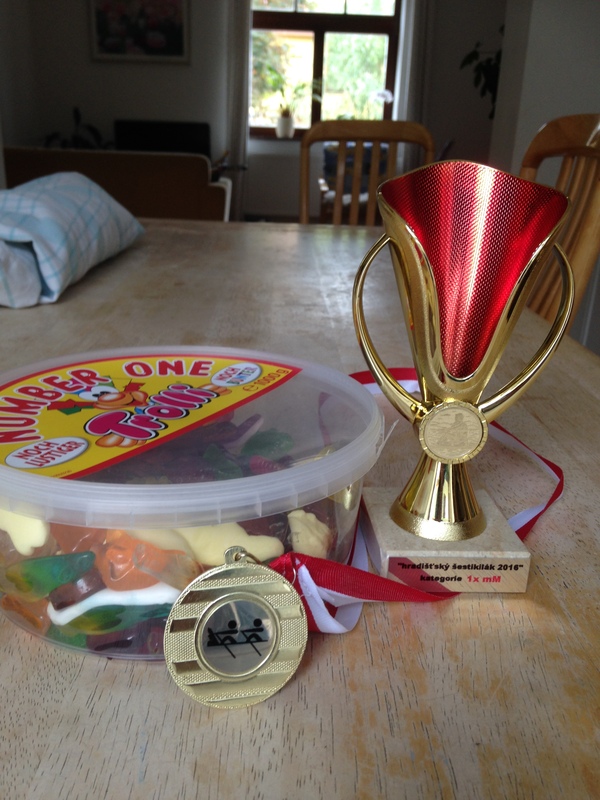 A (slightly obscenely looking) cup, a medal and sweets. What more can a Masters rower wish? We arrived home around 8:30pm. Around 2pm we drove to the rowing club. We unloaded the trailer. I washed my single, and then we watched something very exciting. Our club was founded in 1912, and in the old hangar at the river club house we have a few very old wooden boats. A few of our older club members have made it a project to restore these old boats. Their first piece was a 1944 clinker eight, one of the few left in this part of the world. 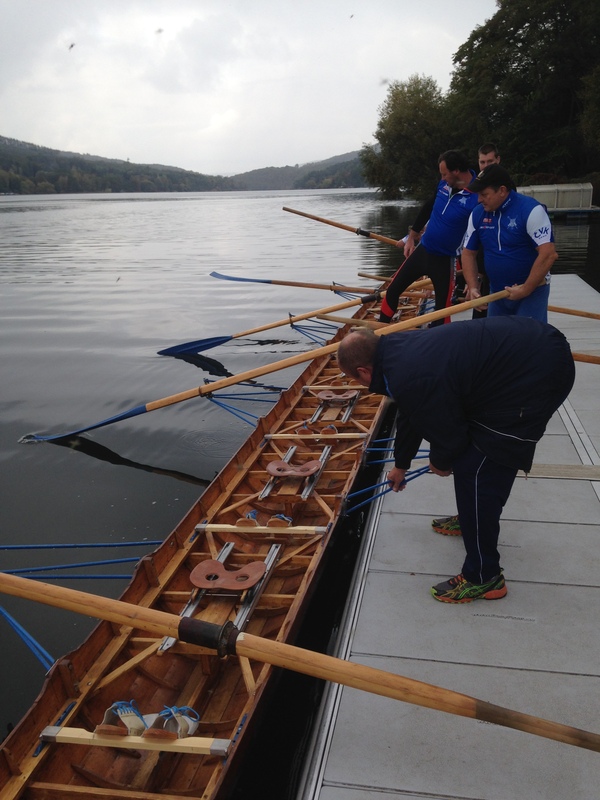 Today, after more than 50 years, it was the first row for a 1934 clinker eight, a lighter and faster boat than the 1944 one (and made of better quality wood). This was no easy restoration. A big part of the middle of the ship was rotten and had to be replaced completely. Apologies for a long post. 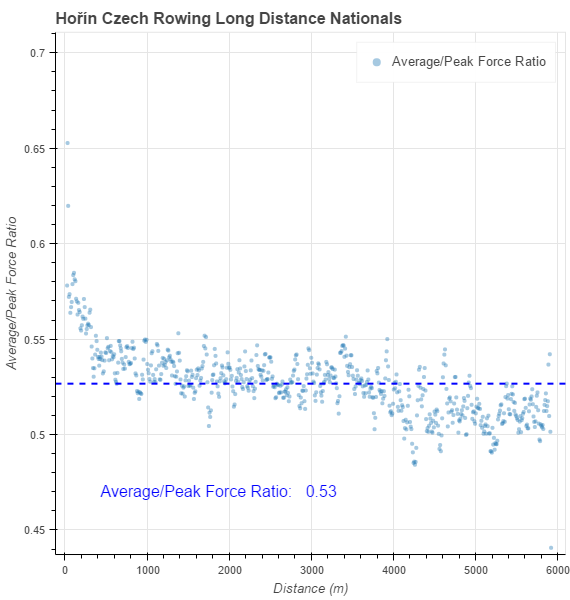 It’s the National Long Distance Championship, not just some random training day. Morning weight – one kilo under the limit. OK. The day started quite relaxed. We took the girls to the launching area. Inspected the boats. Romana and Iva did some front stop adjustments. 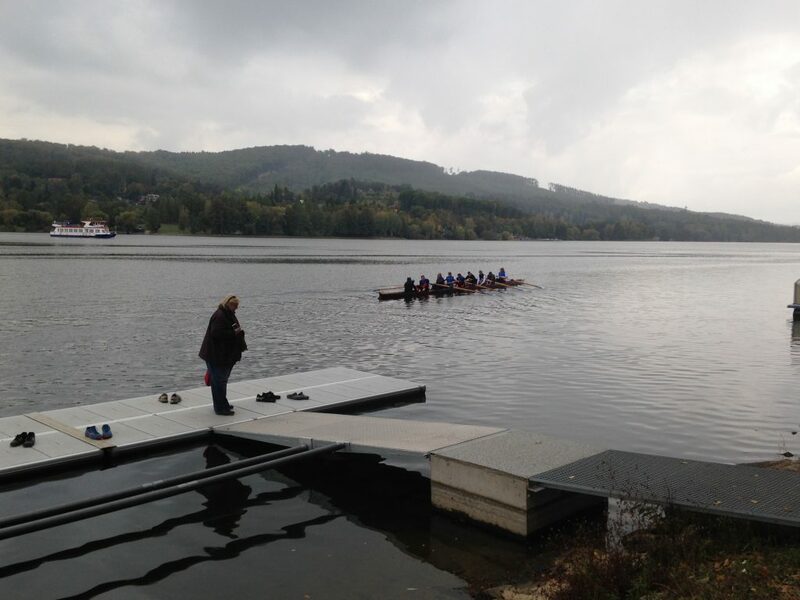 By that time the boys (juniors) pairs and singles were launching for their races. We took the car and drove along the course. At the final bridge we stopped and cheered for the pairs. I took a few pictures. This year they shortened the intervals between starts from 60 seconds to 30 seconds. I think it’s a good thing. 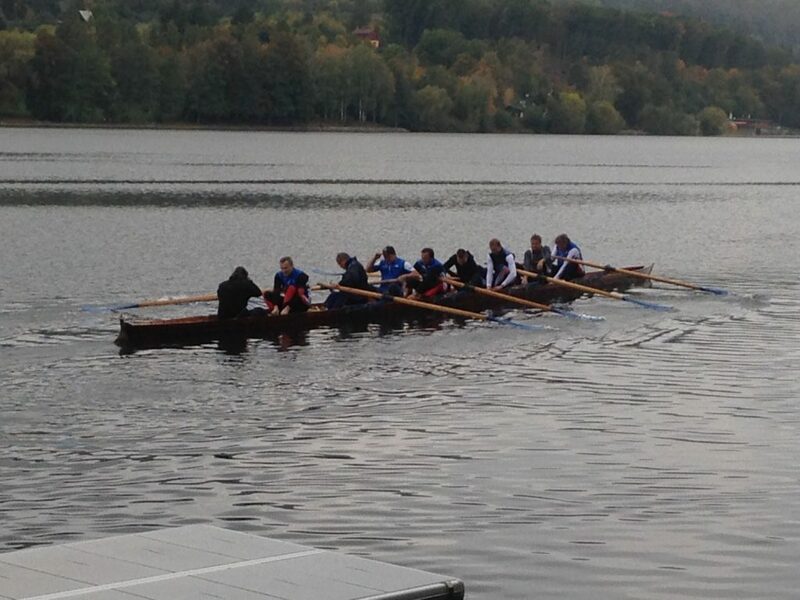 It makes the racing more interesting both for crews and for the spectators. The first wave of boats arriving was an impressive sight. We also tried to help them with the steering on the only turn on this course. 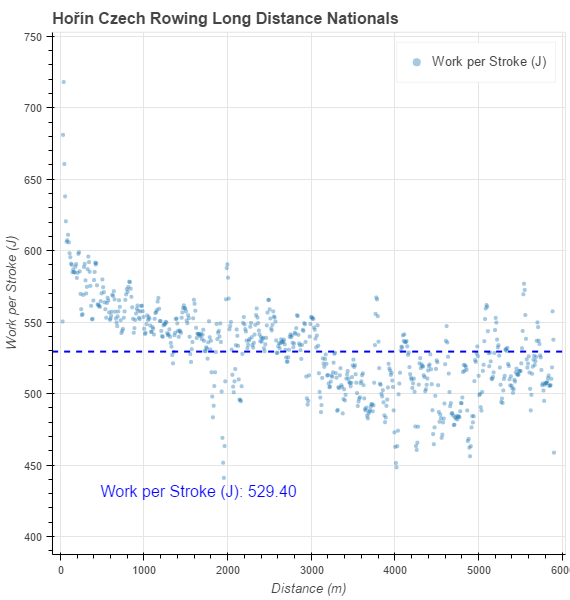 You can lose quite some time rowing the wider curve. Then we drove to the finish area to pick up the singles of our junior guys. I timed the time from arriving at the dock to having the single ready on the trailer. Ten minutes per boat. Two people working together. We had to wait a bit more for some speedcoaches to be brought back to the start. Finally we were ready and drove back to the launching area. By then it was time to get the girls ready for their race, and I had to go to the weigh-in. There we had to wait (not weight) a bit, so we chatted with the rest of the field. I was of course the oldest guy. I started in the elite LW category, for lack of another suitable Masters category. 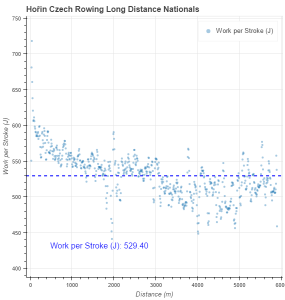 So most guys were between 20 and 25 years and do nothing else than rowing and studying. I weighed in a solid kg under the limit. Good. First hurdle. 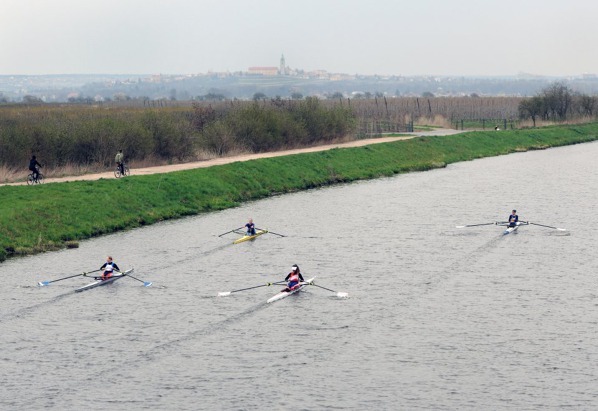 There were a couple of single scullers and pairs who had to go running to shed a few hundred grams. Girls were ready and went to the start of their races, Lenka rowing my single. We took the trailer to the finish area again. 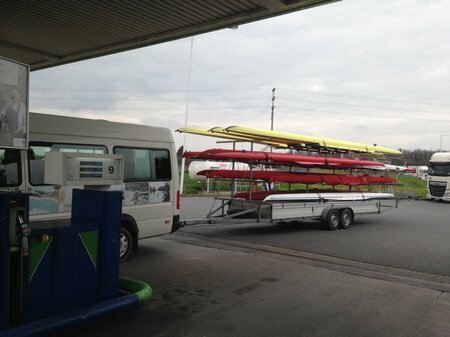 We managed to get the trailer quite close to the docks, but it took us a lot of time to park the trailer and car in a way that would enable us to move quickly once we would have my single. Then we waited. I checked the live updates on my phone to see the progress of the girls. My race was scheduled for 14:33. 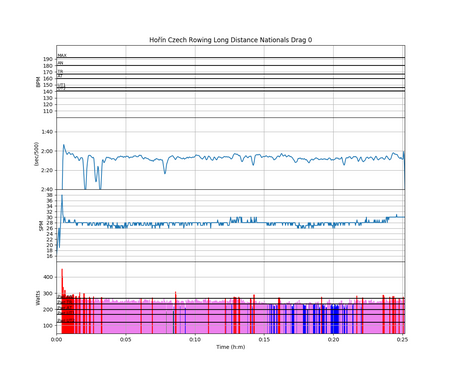 13:25 – I saw Lenka’s first lap time on the live results page – a slow time of 11:12. Damn. Not good. Why is she so slow? 13:30 – The 4k time appeared. 20:27. 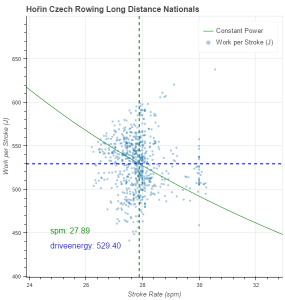 So she rowed the second 2km in 9:15? 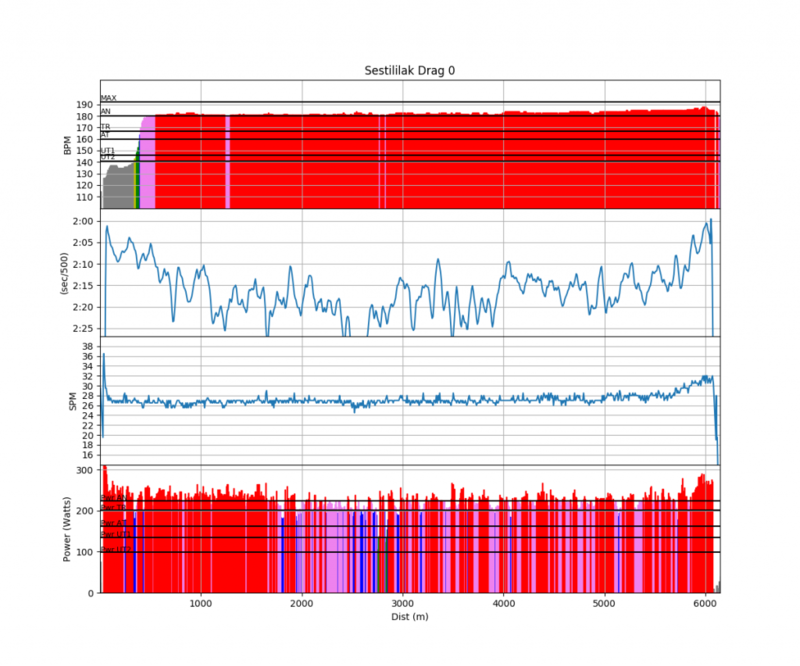 That’s quite an acceleration. Or the timing girl at the 2k made a mistake with the bow number. 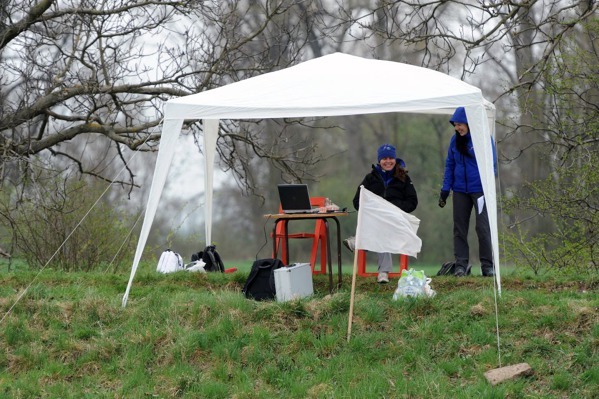 13:38 – Lenka arrived at the finish in a final time of 30:05.5. I was on the dock helping Iva out of her single. I passed her boat to two guys of our club and impudently claimed stayed on that dock, shouting to Lenka to land her boat here. A couple of girls on the water were not amused, but I didn’t care. The clock was ticking. 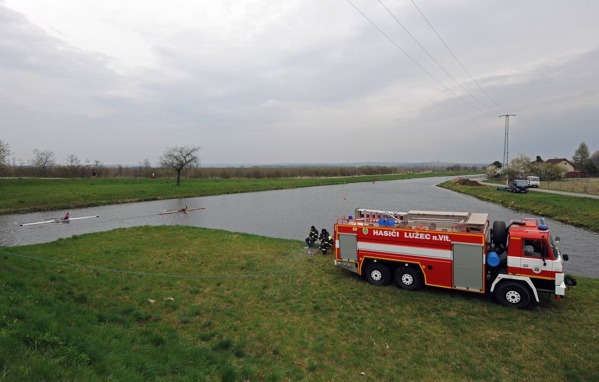 13:50 – Boat ready on the trailer. Off we go. 13:51 – We have driven 100m. A guy has parked his car on a very bad spot. We had to decouple the trailer, drive the car through the narrow opening, then manually maneuver the trailer through. 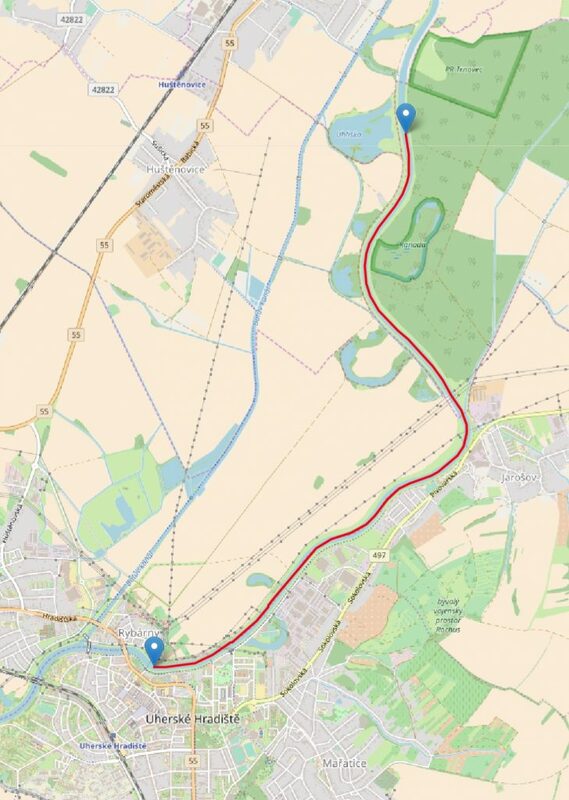 13:54 – A further 100m on the way. An oncoming trailer. The guy stopped. Decoupled his trailer, pushed it off to a parking spot. Then got back to his car, and got out of the way. I tried to stay calm. 14:00 – We were on the main road. In hindsight, I wonder if it would have been faster to park the trailer close to the main road and carry the single there. 14:15 – Arrived at the launching area. Got the boat on slings. Moved the footstretcher. Put the boat in the water. A quick pee. Bow number. Rear-view mirror. Phone. Flip-flops (so I wouldn’t have to walk barefoot in the finish area). Go. When I pushed off I had about 15 minutes to the start time and I knew I was going to make it. Of course I had forgotten a few things. To take a sip of my water. To take a shot of Gu energy-gel, my favourite placebo. And I didn’t have the XGPS160. That last thing was not a big issue. Using the phone’s GPS, the pace bumps around a bit more, but the average pace is very usable. I knew I would not have time to go through my complete checklist, so I had mentally prepared a priority list. The mirror was on the top. I know I lose a lot of speed on strokes where I turn to look. The phone was nr 2. Gives stroke rate and average pace. Flip-flops were nr 3. I didn’t have time to do an elaborate warming up. Just did one 10 stroke interval on the way to the start. I arrived there with 4 minutes to my starting time. No time to turn around and row more. Just wait. Concentrate. The guy before me started. 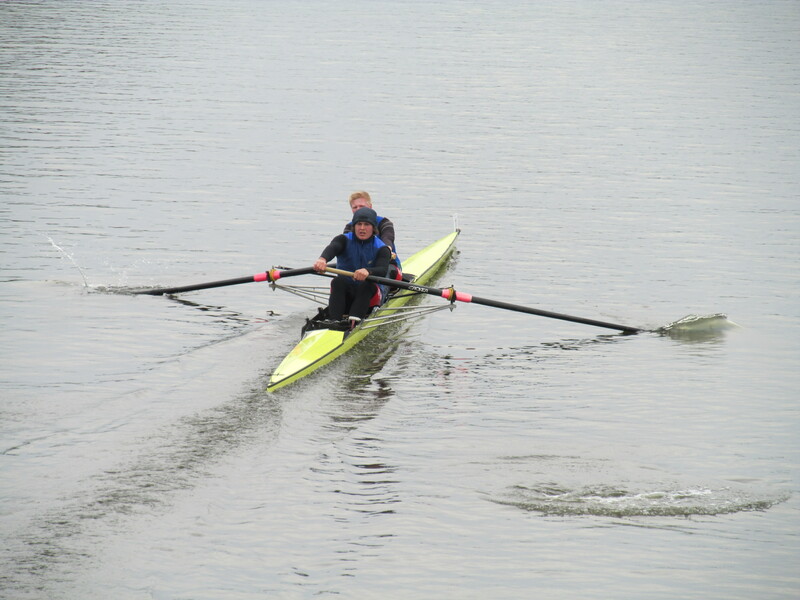 Between him and me, there was a 60 seconds gap, because bow number 347 had withdrawn. Pushed start on the phone. Prepared in starting position. “5 – 4 – 3 – 2 – 1 – go”. I was started. 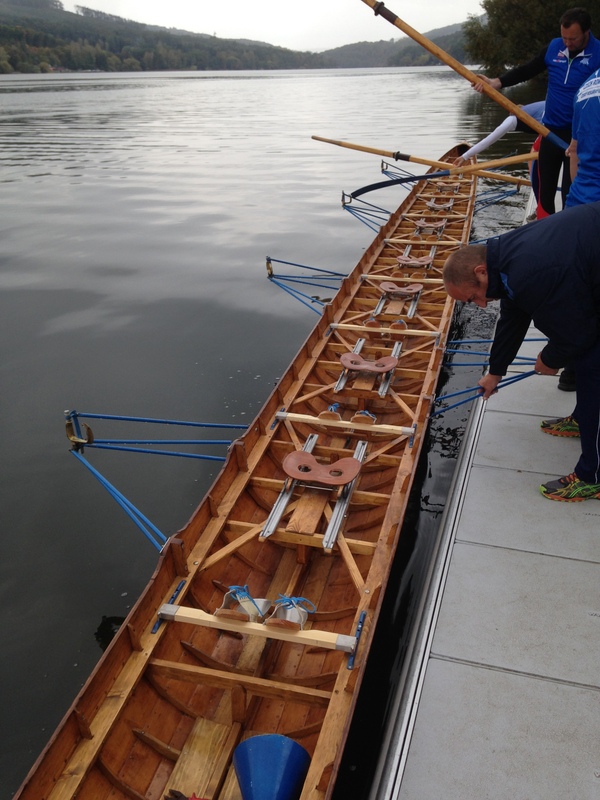 A few high rate strokes to get going, and then settle to race pace. Rate was 28. Rippled water and head wind. 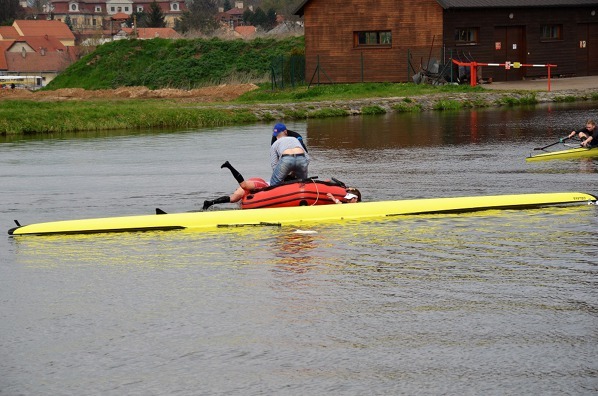 I tried to row under the north bank to get some shielding, but it didn’t help much. I tried to focus on my head race stroke. Long. Not too slow on the recovery. Long. Reach. Bow 349, started 30 seconds behind me, was slowly gaining on me. Behind him there was a 5 minute gap and then women’s pairs. 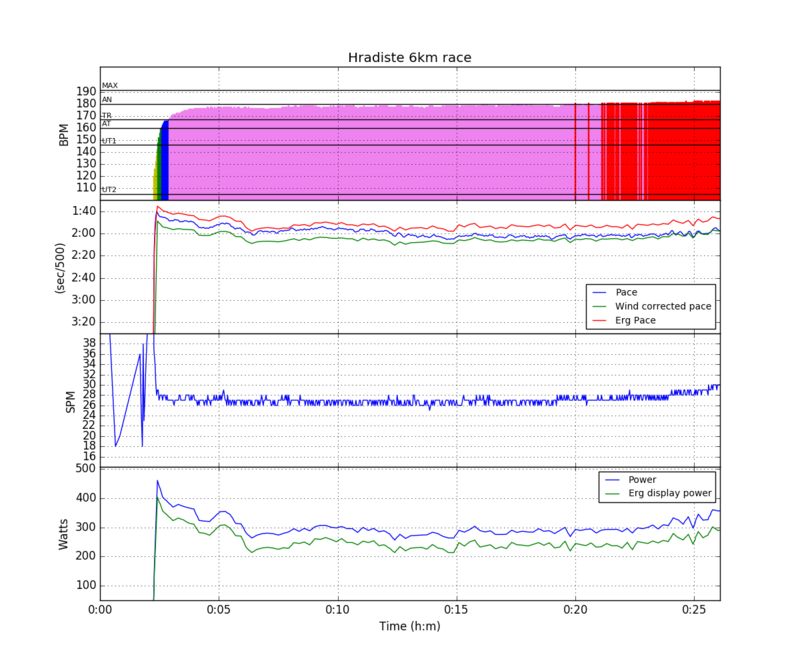 Pace was around 2:02 on the first 500m, then started to drop to a more realistic 2:08. I tried to keep it under 2:10. The guy behind me slowly gained. Ahead of me there was a large gap of water. 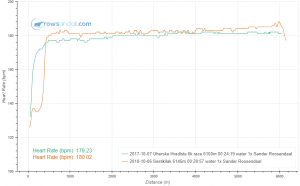 It is difficult to write anything interesting about the next 3km. I was struggling to keep the rate high and it started to drop to 27, then to 26.5. The guy behind me gained on me. The headwind was steadily blowing. The water was rippled. The canal is long and straight. A few factories, a few bridges. I tried to focus on technique. Long reach. I had the impression that that worked. That the guy was gaining slower when I focused on technique. But then the head wind pushed a bit harder, I got a bit more tired, and the technique became sloppy again. At the 3km point, our head coach shouted “long” to me. Reach. I reacted. He shouted something positive, probably meaning that it was better now. This was really the most difficult part of the whole row. Damnit. I thought. I am rowing against the elite. No problem to get taken over. 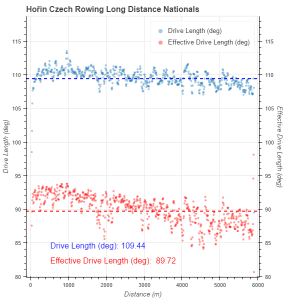 I am rowing this as a time trial with myself. The bridge at the 3.5km point. 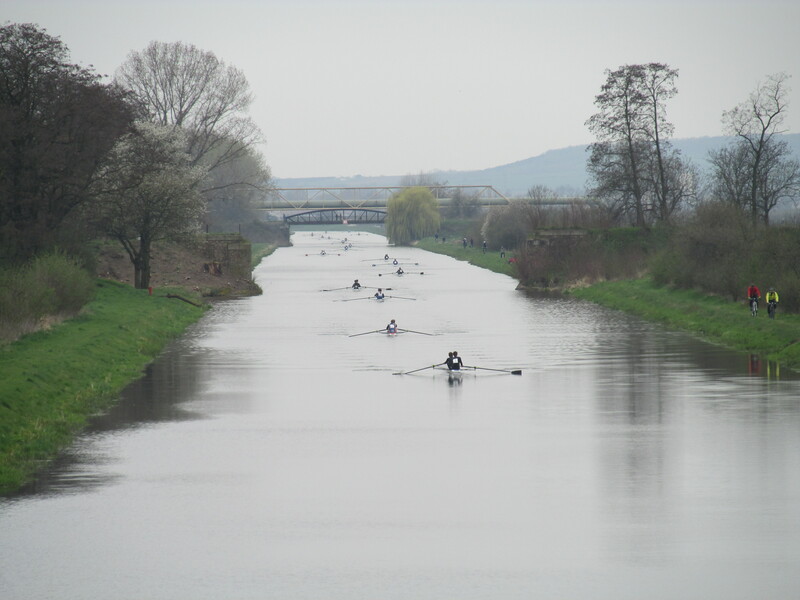 Almost 2km of straight canal to go to the final bridge, the one I had stood on in the morning, cheering for the juniors. Somewhere on this stretch the guy passed me. It was a non-event. I moved a bit to the middle of the canal. The guy passed me. His coach on the bicycle shouted something to him. For about twenty strokes we were rowing next to each other, then he made another move (or perhaps I slowed down a bit more) and then he was gone. Well, he was still there. Just two boat lengths ahead of me. My average pace had now crept over 2:10. 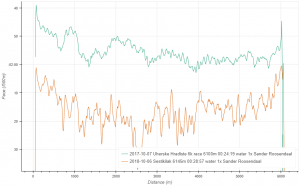 There had been a few instances where the wind had pushed my pace over 2:20 and that was having it’s effect on my average pace. Final bridge. Then the final turn. I did the turn well. I hesitated a bit if I should go real close to the bank (and row in the other guy’s puddles) or take a slightly wider turn, but then I decided to go into the puddles. Here are all the cool graphs. 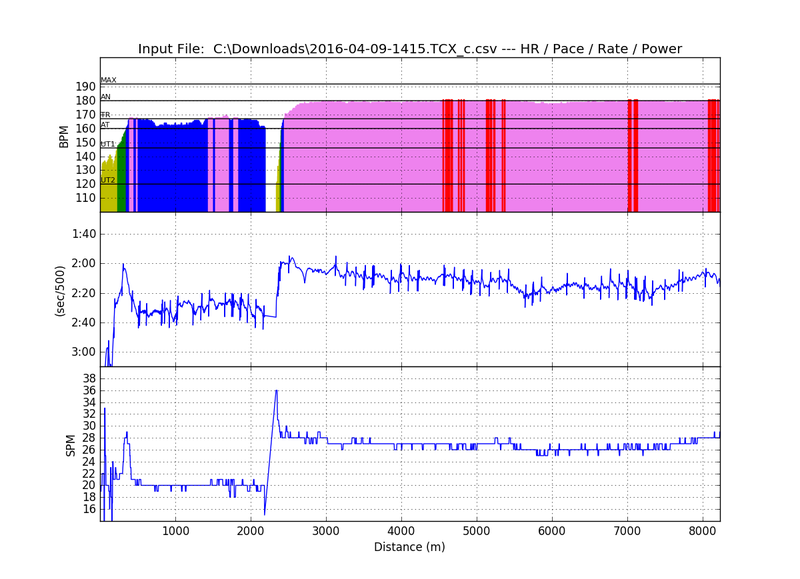 The pace graph is a bit spikey because I didn’t use the XGPS160. I have to make a remark about the amount of red in the graph. 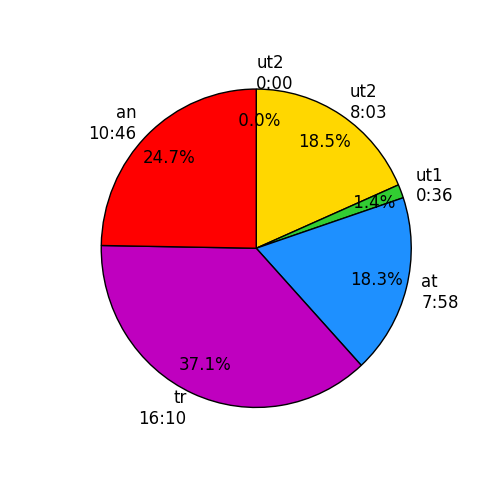 When I first made the pie chart, it had about 25% of red, which was different from the colorful bar chart. 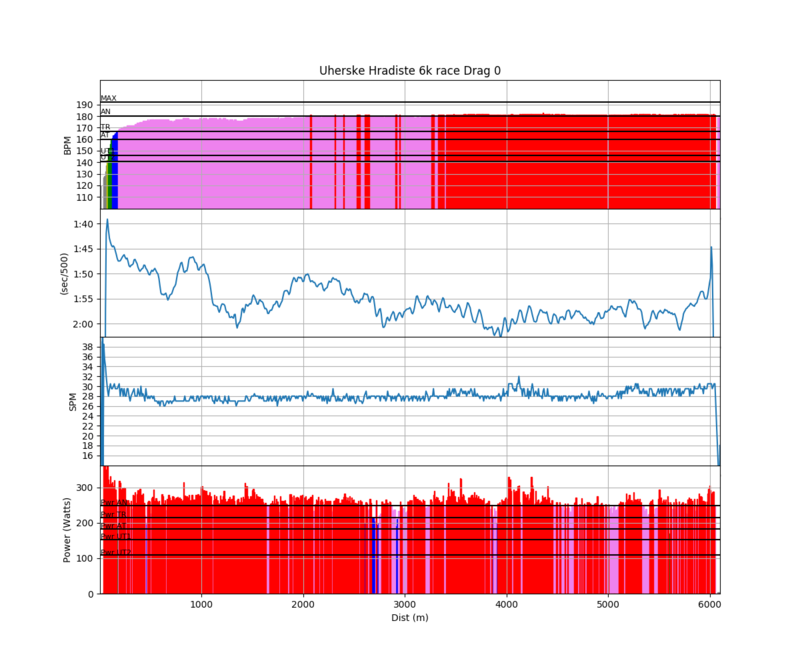 But then I discovered a bug in the algorithm. It counted 180 bpm as “red” in the pie chart, but as “purple” in the bar chart, so I had to correct the pie chart. The row surely felt as if there was more red. 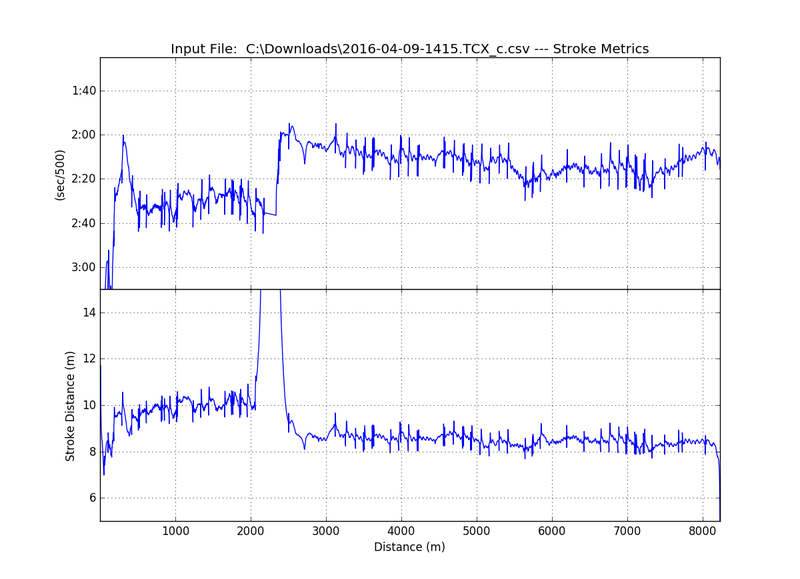 So here is the graph redone with my threshold lowered to 179bpm. 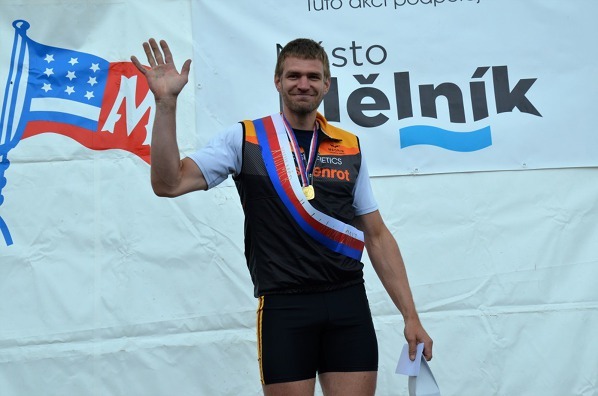 2015 – 25:05.7 -, 14 out of 20, +02:51.7 behind the winner, Ondrej Vetesnik. The 2015 edition was an exciting race where I happened to take over some people. Apparently more slow people participated last year. 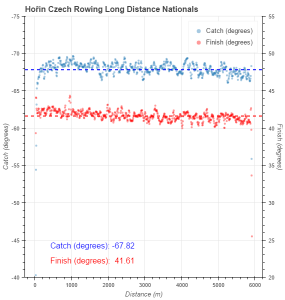 In 2015, there was a head wind as well, but it is hard to compare the wind strength. According to the wind data, there was less wind a year ago, but looking at the winning times, I believe it was a nastier wind this year. The Vetesnik brothers are Olympians (London 2012) and are qualifying for this year’s Olympics. On the erg they are equally strong. 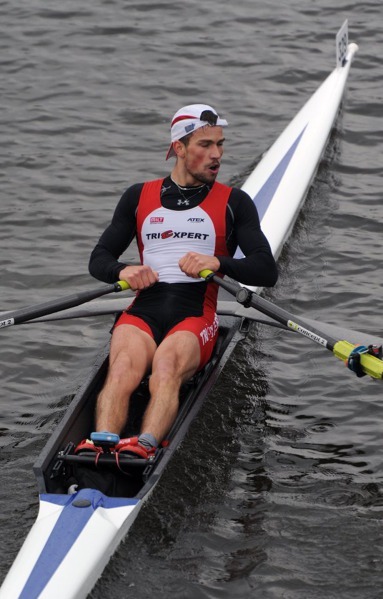 In my field, our best sculler Milan came second. Lubos, the guy who I brought to the hospital a few weeks ago, finished in ninth place, one minute ahead of me. Milan’s result was as expected. Lubos disappointed the head trainer, but I believe his result represents his strength. 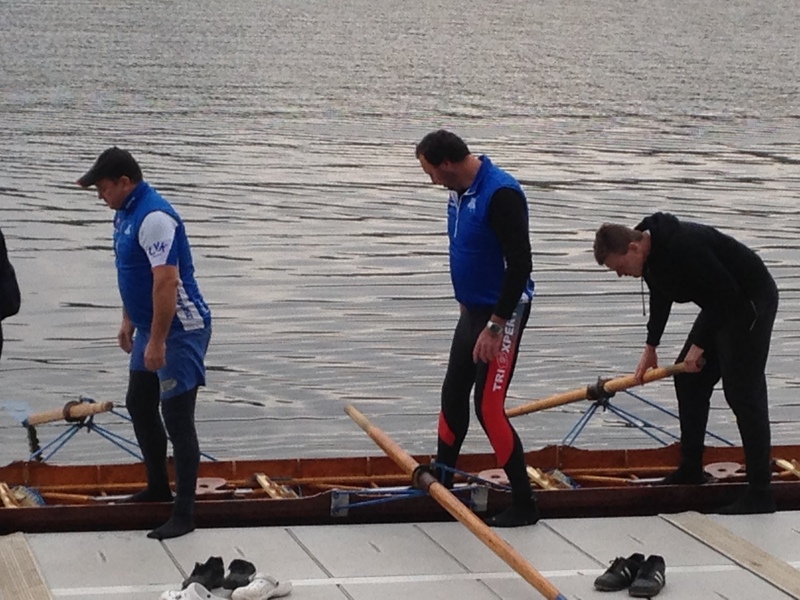 There were a couple of other Masters rowers in the heavyweight field. 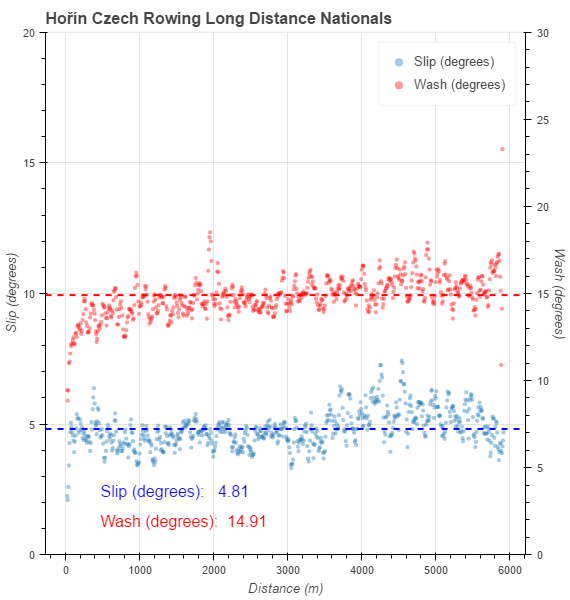 Kazimir Nedoba rowed a 27:04 time, 4:55 minutes behind Ondrej Synek. Martin Prihoda rowed a 27:31. So in comparison with them I did really well. When I met them after the race, they of course told me that they hadn’t really trained this year. Hah! Who decides to sign up for a national long distance championships without training for it? 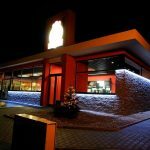 Yup, it’s the Czech Republic’s first American style roadhouse. 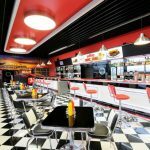 I had a very good ribeye and the rest of the gang had excellent burgers. A very fun place to spend an hour when it’s dark and rainy outside. This is also the place where I concluded that I had given my best.